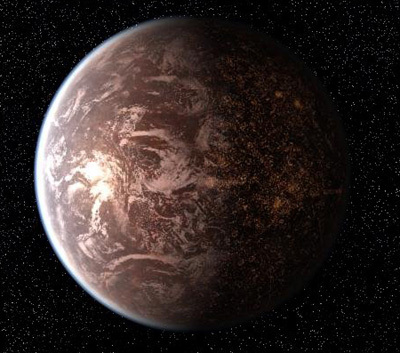 Coruscant is the sixth planet in the Coruscant system. For a thousand generations Coruscant has been central to galactic affairs. In ancient times the prehistoric Taungs and the Battalions of Zhell waged war for control of the beautiful world. Millennia later, it was universally understood that whoever controlled Coruscant controlled the galaxy. Countless years of civilization have indelibly changed Coruscant's ecology. The planet is actually colder than what humans would normally deem comfortable; immense orbital mirrors warm its upper and lower latitudes by refocusing and distributing stellar energy. The planet's heat is regulated by thousands of strategically placed CO² reactive dampers in the upper atmosphere. Coruscant's water network melts polar ice and pipes the water across the planet. The city's huge amount of sewage and refuse are blasted into space, targeted towards Coruscant's sun. In a world encased in artifice, gregarious indigenous and transplanted wildlife has nonetheless prospered. Hawk-bats and granite slugs dwell in the urban jungle, and the lower depths of Coruscant are filled with frighteningly unwholesome creatures that have evolved deprived of sunlight. After thousands of years of civilization, the planet has been entirely enveloped by cityscapes and urban sprawl. Immense skyscrapers reach high into the atmosphere, and stretch down deep into the dark shadows. Crisscrossing the skyline are streams of unending repulsorlift traffic. Even in the depths of night, Coruscant is alive with glittering lights and rivers of traffic, a bustling megalopolis that refuses to sleep. Some of the most important decisions, affecting the lives of trillions, have been made on Coruscant. It has long been the center of government, and the site of residence for the galaxy's Supreme Chancellor. From a towering high-rise overlooking a gleaming range of mountainous edifices, rulers such as Valorum and Palpatine have carefully plotted the future of the Republic. Though the Chancellor steered the government, issues were ultimately settled in the cavernous rotunda of the Galactic Senate. Thousands of Senators and galactic representatives from the far-flung worlds of the Republic would debate pressing issues and push forward countless agendas. As Coruscant was the center-point for decisions affecting the massive engines of commerce in the galaxy, it was also a nexus of graft and corruption. Vast fortunes were spent to ensure that corporations were allowed to operate without profit-stunting restrictions. Entities such as the Trade Federation and the Commerce Guild held incredible sway over the inner workings of Coruscant politics. Removed from this corruption and encased in a gleaming tower was the Jedi High Council. Coruscant was home to the Jedi Temple, and the august order was answerable to the Senate, until Supreme Chancellor Palpatine assumed total control of the Republic. A quite different world exists beneath the shimmering surface of the city-planet. In the lower levels, where sunlight never reaches, is a haze of artificial lights and flickering holograms, promising entertainment catering to a myriad of alien species and the full spectrum of morality. Citizens from above and below intermix in countless establishments offering escape, anonymity, jubilation and more than just a hint of danger. Insulated by layers of defenses, the citizenry of Coruscant felt largely untouchable by the horrors of the Clone Wars. Nonetheless, the threat of the enemy provoked numerous changes on Coruscant in the name of increased security. Huge stretches of cityscape were transformed into military staging areas, and clone troopers were everywhere. This made it all the more of a shock when General Grievous, leaders of the Separatist droid army, staged a daring attack on the capital. He broke through the barriers that protected the city planet, and managed to kidnap Supreme Chancellor Palpatine. The violent strike resulted in the deaths of thousands of Coruscant inhabitants. Proving that danger lurked in every corner, Chancellor Palpatine found it easy for the Senate to accept his proclamation of a New Order -- a new government that would stand for peace and security, as the First Galactic Empire. Coruscant continued as the capital of the galaxy under this new regime. When the Empire came to power, Imperial agents worked tirelessly to wipe away vestiges of the Old Republic. During the height of the Galactic Civil War, the planet was renamed Imperial Center. The Jedi Temple was no more. The Galactic Senate was disbanded, and the Imperial Palace became the largest structure to mark Coruscant's surface. Despite such sweeping changes in policy and infrastructure, the shadows of Coruscant remained largely unchanged. The city-planet was home to the largest criminal syndicate in the galaxy -- Black Sun -- and its ruling prince, Xizor, called Coruscant his home. Following the defeat of the Empire at the Battle of Endor, the Rebel Alliance --now the New Republic -- made the capture of Coruscant of paramount priority. The elite Alliance special missions force and starfighter unit, Rogue Squadron, spearheaded the stab into the Core Worlds. A cunning plan allowed the Rogues to retake Coruscant with its planetary shields intact and with acceptable collateral damage. Over the next few years, the New Republic set up government on Coruscant. They moved the capital to the old Imperial Palace, and reinstated senatorial rule. Plagued by Imperial warlords, the New Republic experienced daunting growing pains as it tried to rebuild the galaxy that Palpatine had oppressed for so long. In a shocking strike, Imperials rallied by Grand Admiral Thrawn's failed bid to recapture Coruscant staged a devastating attack on the capital. Abandoning Thrawn's elegant tactics, these Imperials struck without compunction. Vast stretches of Coruscant's surface were laid to waste in the battle. The New Republic retreated from Coruscant, leaving the splintering Imperial factions to war amongst themselves. When the Imperial Civil War fizzled out, the New Republic again set to rebuilding the damage the Empire had caused. Using immense construction droids, the Republic was able to clear the rubble and erect new buildings on Coruscant's surface. Since that time, the New Republic faced insurrections and repeated Imperial harassment, yet Coruscant had weathered such tests. It did not survive, however, the conquest by the Yuuzhan Vong. The inexorable incursion of the invading aliens had targeted the heart of the Core Worlds. Despite the best efforts of the beleaguered New Republic and Luke Skywalker's new Jedi order, the aliens conquered Coruscant. The Yuuzhan Vong started "Vongforming" after taking the planet. Massive dovin basals actually shifted Coruscant's orbit, bringing it closer to its sun. Its temperature increased, and more moisture was released into the atmosphere. Coruscant's three smaller moons were steered away while the largest was pulverized by tidal stress created by pulses from other yammosk-linked dovin basals. A refined application of similar techniques organized the resultant mass of dust and gravel and lumps of hardening magma into a thick spreading ring-disk of rubble that rotated around the planet at an angle 17 degrees from the ecliptic. The planet's surface is now overgrown by organic vegetation and living forms, slowly digesting the millennia of construction that had enveloped the world.